I’ve been blown away by the overwhelming amount of interest in Dr. Loren Fishman’s Side Plank Research, originally published in 2014 in the Wall Street Journal. I’ve written three separate blog posts on the subject (here’s the first, second and third), and they’re by far the most read and commented posts on Spiral Spine’s site. I’ve also corresponded with others privately on social media and email, each of whom were asking for guidance as to which side they should perform the plank on. As you may already know from my previous posts, I disagree with Dr. Fishman’s findings and have been quite vocal about it. But let’s investigate this further. She then came across the aforementioned Side Plank Research but was confused as to which side her son should perform the plank on (along with the rest of the scoliosis world), so she set up (and paid for) multiple Skype sessions with Dr. Fishman to confirm that her son was indeed doing the plank correctly. They followed Dr. Fishman’s instructions precisely and the young man did his side plank for 3-4 months (even though he was supposed to do it for a full 6 months per Dr. Fishman) but he stopped because his shoulder was hurting from doing the exercise. –Before the side plank exercises, his high thoracic curve measured 34 degrees; his lower curve measured 47 degrees. –After performing the side plank exercises for 3-4 months, his high thoracic curve increased to 50 degrees; his lower curve increased to 60 degrees! These young man’s curves got significantly worse after doing the side plank exercise exactly as prescribed by the doctor who created the side plank study. This further proves that Dr. Fishman’s research is fundamentally flawed and in fact, can make your scoliosis worse. You have to determine which specific exercises will help reduce your individual curves. A qualified movement practitioner can help you determine which exercises are good for your body. Need help finding a practitioner? Watch these videos from the Spiral Spine Starting Point series. Videos 4 and 5 tell you what to look for when searching for a practitioner in your area. 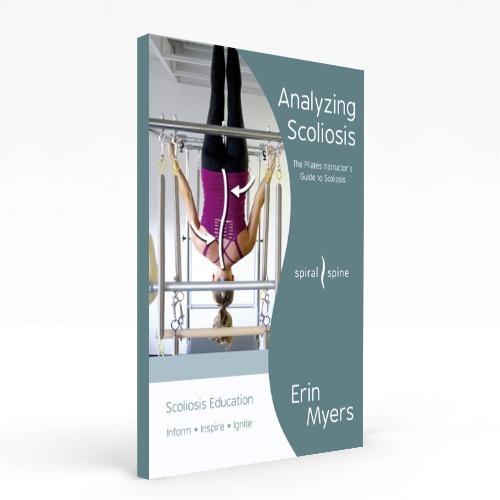 Also watch the Spiral Spine TV video titled, How Do I Make My Scoliosis Better? for additional guidance. Once you’ve found a movement practitioner and discovered which exercises help decrease your specific curves, do these exercises regularly and track your progress with a scoliometer. Having scoliosis is confusing enough; don’t be fooled by perceived quick fixes. Take control of your health and find out what works for you. Just want to share some good news with you. Sabrina (her daughter) had X-rays yesterday and they show that she’s down to 25 degrees from 32 degrees back in October. All the therapy works. I remember back in the Orthopedic Dr.’s office in October 2015, they promised me that Sabrina would only get worse no matter what I tried. They told me that only a back brace could stop the progression and even then, there was only an 80% chance that it would work. Look at her X-ray today. It’s amazing!!!! We are so excited. Thanks for your help in our journey. To clarify, I’ve never met this mother or daughter in person. I haven’t talked to either of them on the phone or Skype. I’ve never taught her daughter a lesson. None of this is about me, the work I do work with my clients, or what I do for my own scoliotic body. It’s about the fact that these modes of therapy work – and they can work for you (minus the side plank). Check out The Beautiful Scoliotic Back for more stories and suggestions on therapies. WHAT TECHNIQUES HAVE WORKED FOR YOU? TELL US BELOW AND LET’S DISCUSS! I came across your repost of this article which mentions a 15-year-old patient who got worse. I must say I certainly do have a few failures, and people in that age group have immature spines, and often would have gotten even worse if they didn’t have this message, but I can’t find a patient in my database. I have a number 15-year-olds and 14-year-olds, but actually all of them seem to have improved. Possibly This patient and/or his mother just never sent me the second x-ray because they were so disappointed, I don’t know. In general though I think you and your readership should know that we have seen 325 patients in the past three years, adults with degenerative scoliosis and younger people with adolescent idiopathic scoliosis, and two with a rather uncommon condition: osteogenesis imperfecta. More than 80% of those that are sent us there follow-up x-rays have improved, many dramatically. Of course there are some that have not sent us the follow up x-rays and maybe that accounts for the patient you cite in your unfavorable review of my work. What we ask patients to do takes less than three minutes today, and is innocuous, effective and almost free. The message you use maybe effective also, I do not know. However I’m sure that unless someone gets x-rays before they treat and sometime after they treat, there is no real way to know. Thank you for the update. I’m sure all of my readers will be pleased to read your comments. Could you please tell me how the scoliometer app has been calibrated and what were the results? Thanks so much for answering. I’m not having issues yet – I haven’t yet purchased the app. I was interested in how accurate the app tool is against measurements taken conventionally. I’ve not had my scoliosis measured before but was hoping to get an accurate reading. Thanks for the reassurance – I’ll try it. Interesting dialogue. I’d like to point out that just because something does not seem to make sense, that doesn’t necessarily make it untrue. The only way to truly know something is to collect data. What is striking here is that despite a disagreement on whether the exercise was done on the “correct” side, each one of the compliant patients in the original study showed improvement. That is actual data . I appreciate that you have findings on a single patient that contradicts the conclusions from the original study, however, I would respectfully suggest that a single case study by itself is not particularly meaningful. Given the medical importance, what is needed here is a more comprehensive study. This is important not only to scrutinize the findings of the original study (particularly because medical research often cannot be reproduced) but also to explore this issue further. For example, what would be result if patients performed the exercise with the concave side down? Would patients show improvement if the exercise was performed bilaterally? Last, I would suggest that the studies be powered appropriately (i.e. contain enough patients to ensure that conclusions are statistically relevant). Thank you for your scrutiny. I hope you can continue to help push the field forward. Great clarification for the novice on the need for an individualized approach. An important component I am finding is the need for follow up regularly to ensure compliance and correct performance. I would absolutely agree. If you have a trusted practitioner who knows how to use a scoliometer in your town that you see regularly, the regular follow-up is built in. Scoli can change on a weekly, or monthly, or yearly basis depending on the season of life you are in. For that reason, you MUST have a local practitioner who you see regularly. Thanks for pointing that out Ashley.